The ride eastward would have been pleasant hadn’t it been so early and I so tired. To top it all off, the other guy riding in the car wouldn’t stop talking—whether to me, the driver, or himself. I thus decided to just shut my eyes and take a nap, and woke up as we were entering my destination: the old Hanseatic city of Rostock. 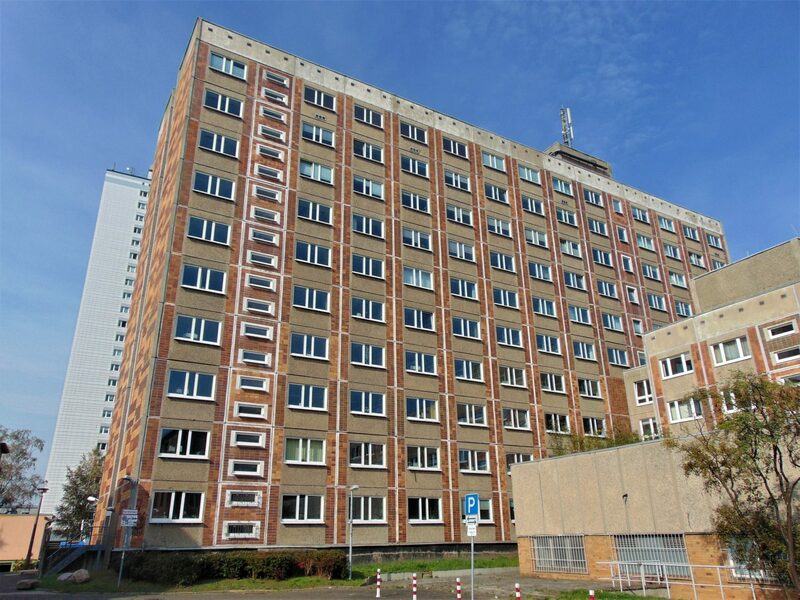 Soon enough I started seeing the occasional Socialist concrete building, which, together with the Kosmos shopping center, the Majakowski street, and the broad boulevard we were on made it clear that I was back in the good ol’ former East Germany. 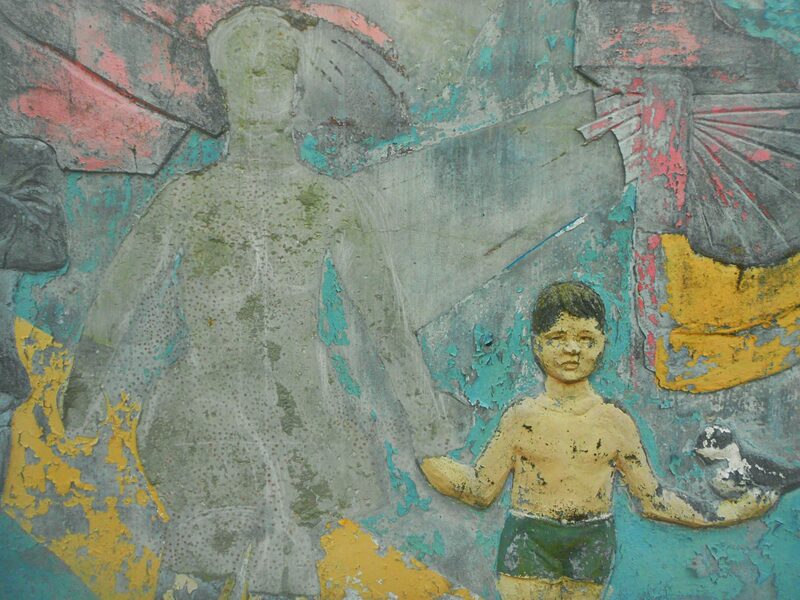 I had come to Rostock to discover the part of Northern Germany that found itself behind the Iron Curtain after World War II. And even though I’ve seen and even lived in the former East, I was curious to see how the old Hanseatic legacy of the city was affected by four decades of Communism. Ever since moving to Northern Germany I’ve been exploring the area whenever my busy schedule allows it. Rostock though, despite being so close to Hamburg and Lübeck, feels very different to these two cities; to me it actually felt closer to other cities in the former Eastern Bloc, particularly Szczecin but also Tallinn and even Riga. 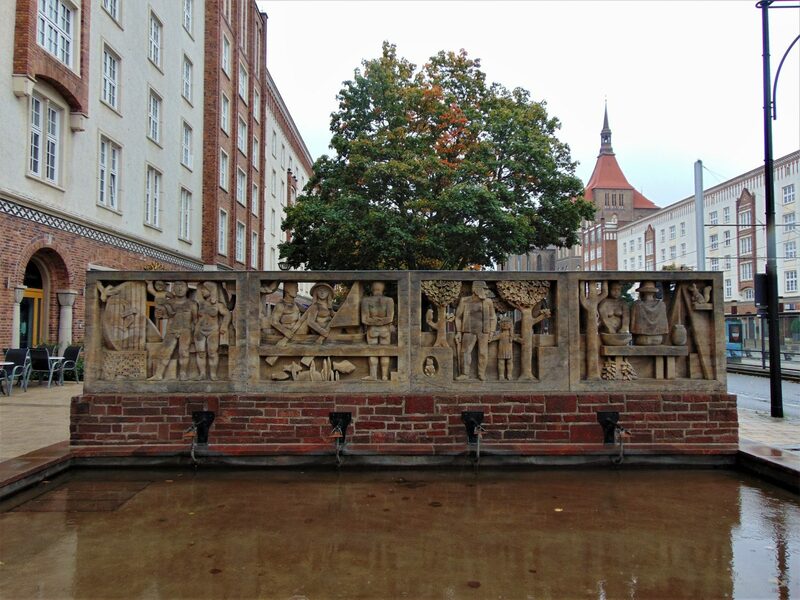 What these cities have in common is that they all belonged to the Hanseatic League, a late-medieval union that controlled maritime commerce in the North and Baltic seas—thereby also developing a particular style of architecture in the process. It didn’t take long before I realized just how small Rostock is. The city center, which was heavily damaged during World War II, is really compact but has a lot to offer. Actually, Rostock’s city center, for such a small area, packs so much it feels like it’s way bigger. 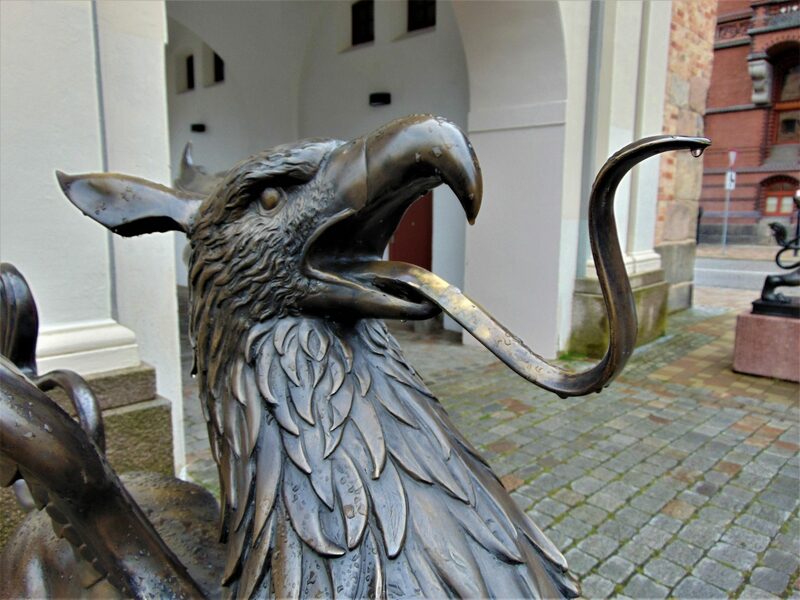 Here you’ll find breathtaking examples of Northern Baroque architecture next to half timbered buildings and old Hanseatic merchant houses, all within the massive city walls. 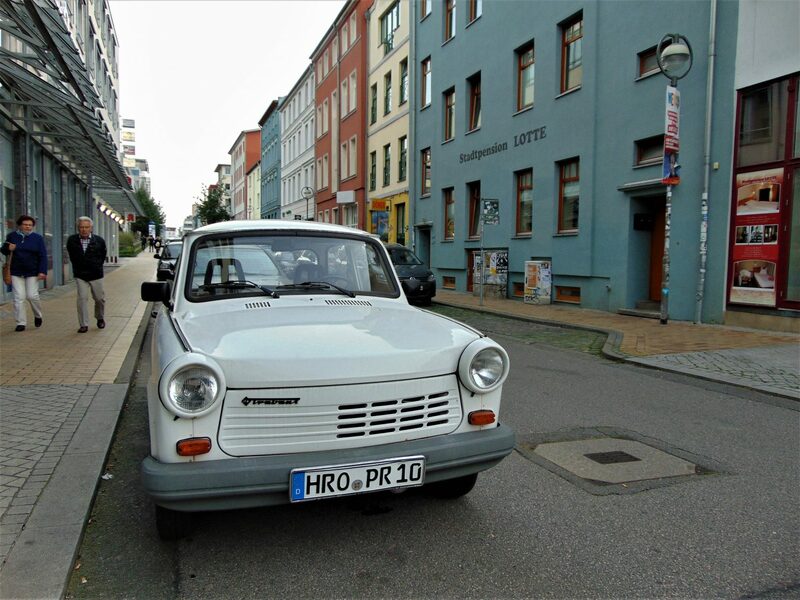 What makes Rostock stand out, however, is the combination of its Hanseatic and more recent Communist pasts. 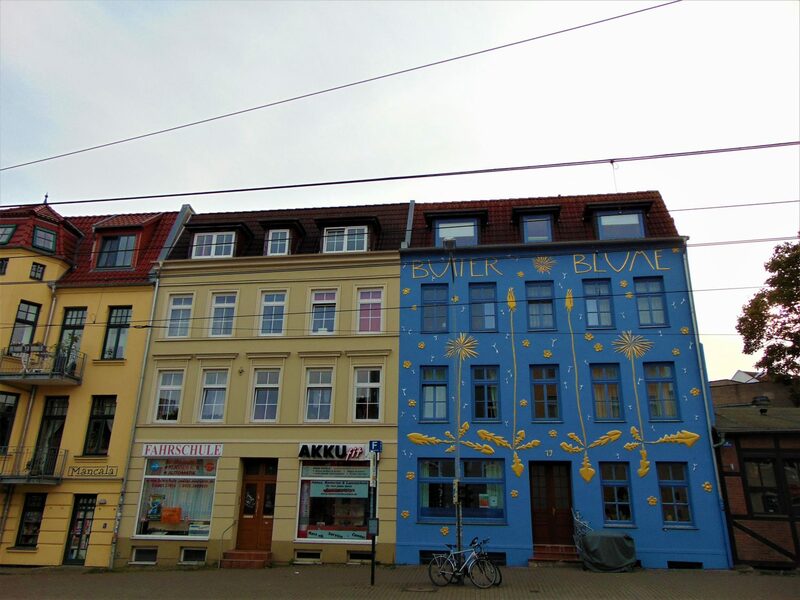 While the old buildings are incredibly beautiful, they are typical for Northern Europe and can be found all along the Baltic Coast. Rostock’s modern architecture, on the other hand, is quite unique: The city was the most important port of the former East Germany, and in order to showcase its position, the government of Walter Ulbricht decided to rebuild the destroyed parts of the city center in a particular mixture of Communist architecture with elements representing Rostock’s Hanseatic past. 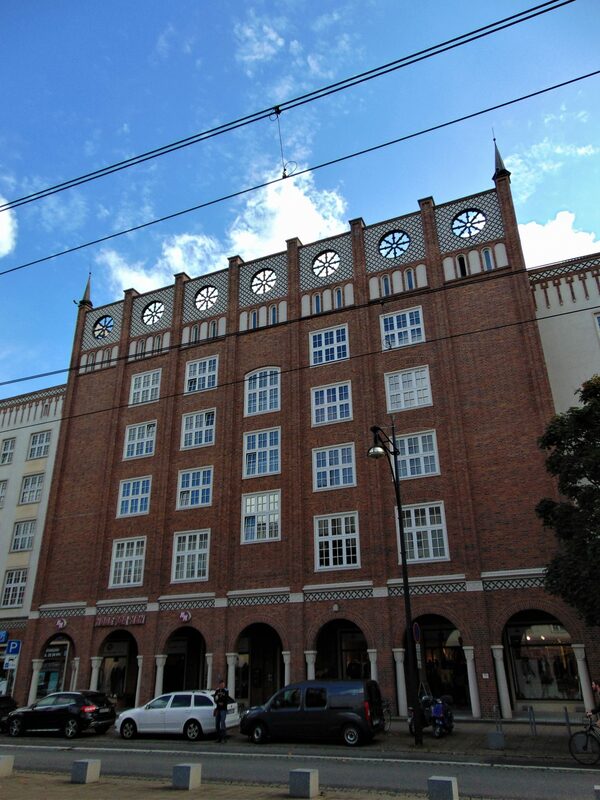 The Lange Strasse in particular is very interesting because it was built in a Socialist Classicist style with Hanseatic elements. The Lange Strasse reminded me of Berlin’s Karl Marx Boulevard, and indeed the construction of both streets started on the same year. 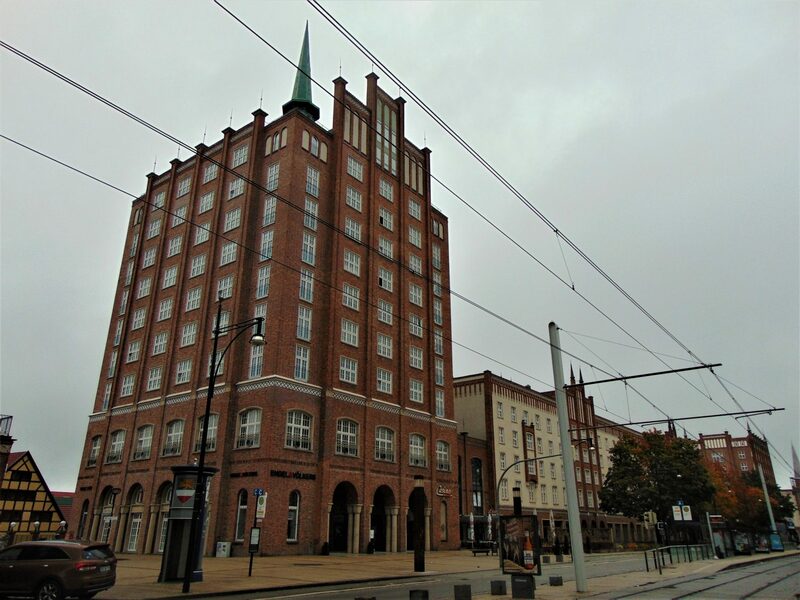 The part of town between the Lange Strasse and the waterfront along the Warnow river was also rebuilt in a Socialist style with a Hanseatic twist. 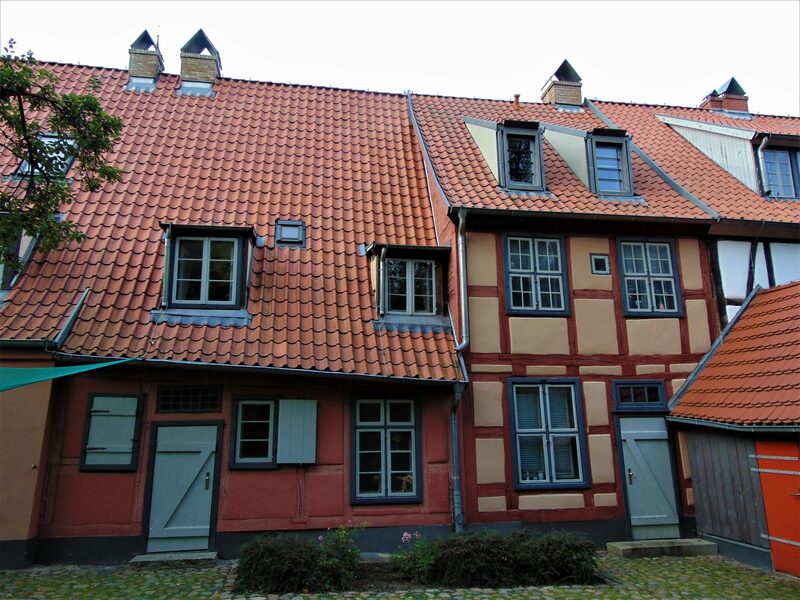 However, the buildings, which cover a large area, are not fancy but have more of a utilitarian character: They are made of concrete but have the traditional form and dimensions of Hanseatic merchant houses, and their facades are covered in red tiles. 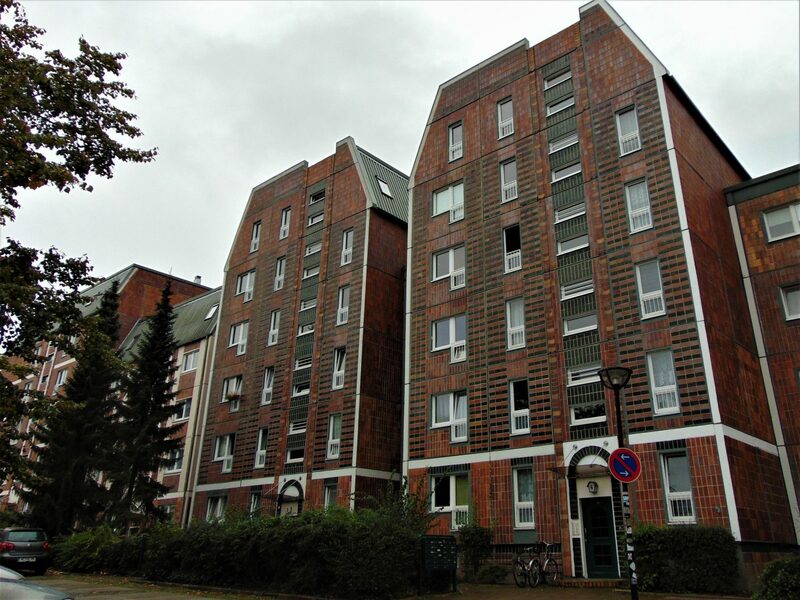 I had never seen Socialist housing like this; neither in Jena nor in Leipzig, Dresden, Halle, or Berlin. A few blocks eastward, the architecture changes drastically. The Wokrenterstrasse, with its historic, lavish, red brick houses lining the street, feels centuries away. The houses on this street have been renovated, but their character has been preserved. 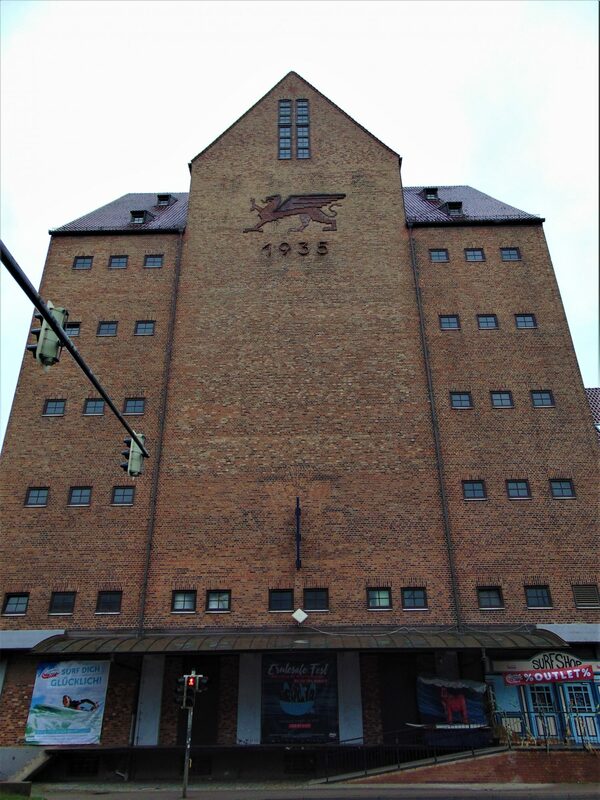 This is a great area to walk around, especially as just around the corner is a warehouse built in 1935, which offers an example of National Socialist architecture with a Hanseatic twist. 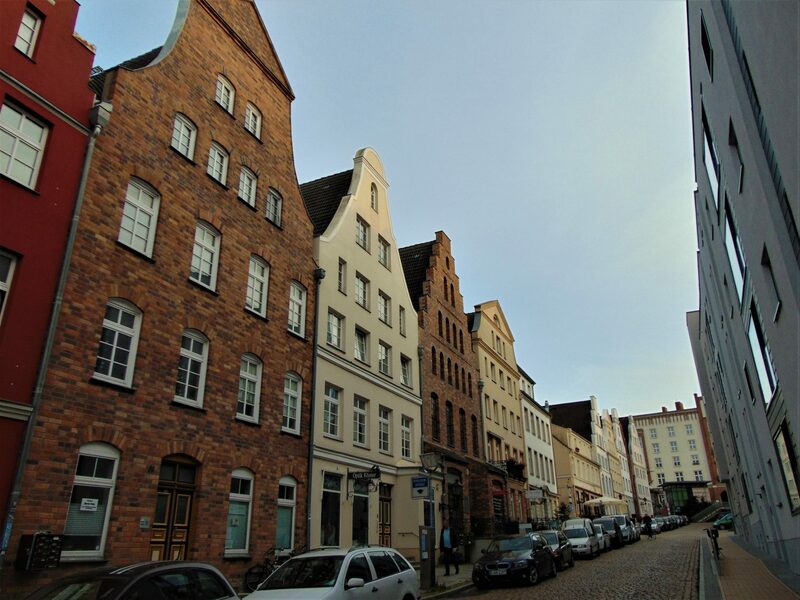 That is, within a few blocks, you can observe original Hanseatic buildings, together with the attempts by two totalitarian political systems to incorporate those very characteristic elements into their own styles of architecture. 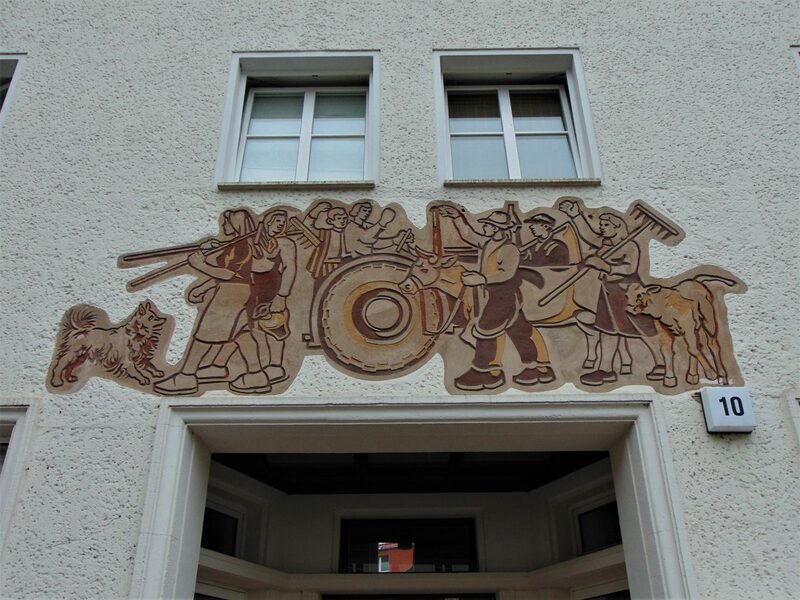 The Vogelsang and Kramer streets are also lined with Socialist buildings adorned with reliefs, and that not far from the imposing Marienkirche, which again signals that you are in a Baltic city and will make you feel a bit like in Tallinn or Gdansk. The city’s grid also changes substantially: The areas between the Nikolaikirche and the Petrikirche become a beautiful, cobble stoned maze of small brick houses in different colors and imposing churches, all against the background of the city’s old walls and gates. I walked around the area twice, once at night, and again the next day. 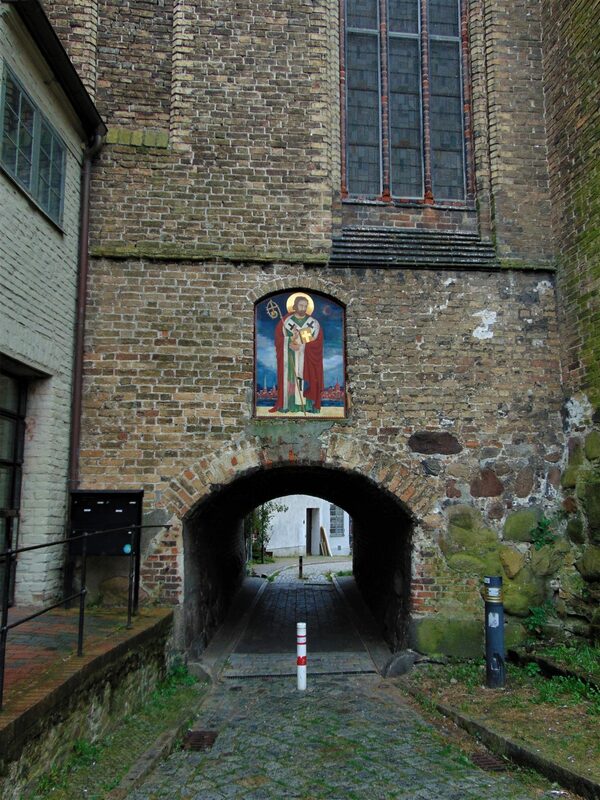 You can also walk along the city’s walls on the Karl-Planeth-Weg. 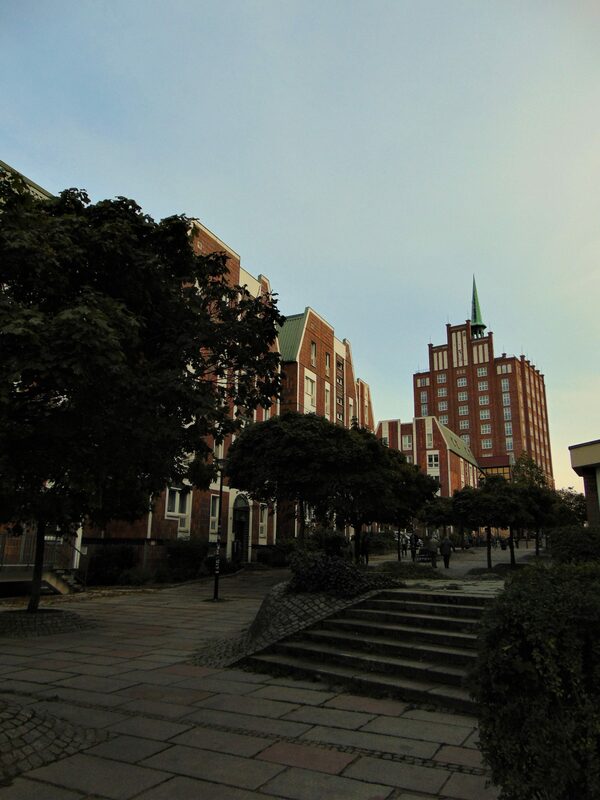 However, there is of course a lot more to Rostock than just the city center. 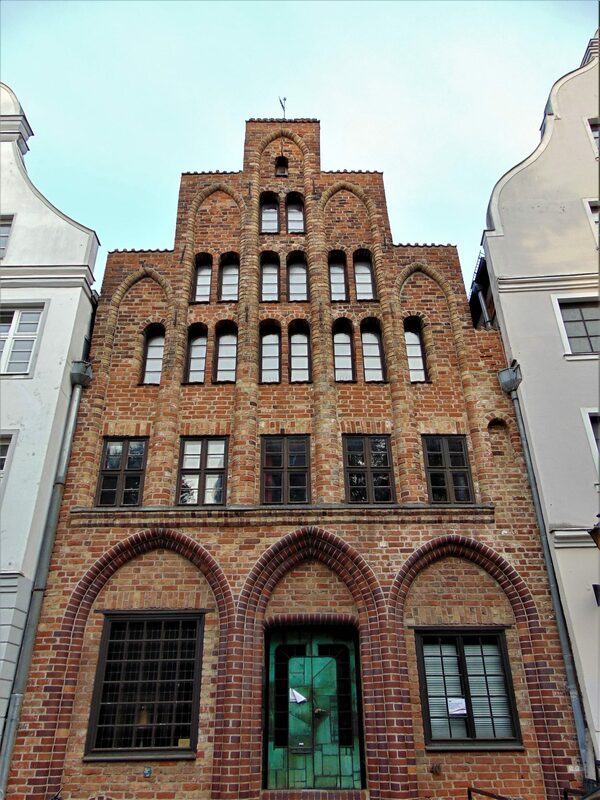 Rostock is home to a lively alternative scene and a happening area called the Kröpeliner-Tor-Vorstadt, or KTV for short. 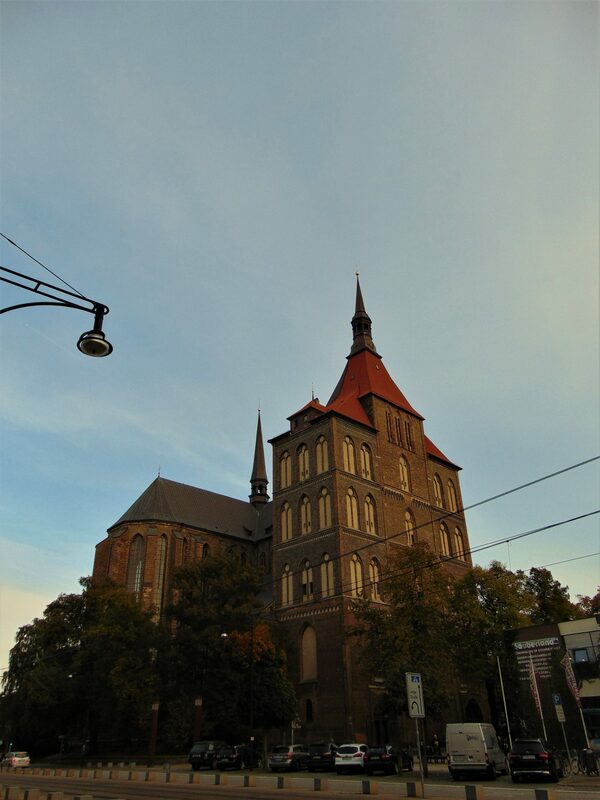 On my first day in Rostock I walked all the way from my hostel, which was not far from the Steintor (one of the old gates of the city) and the aforementioned Petrikirche, all the way to the Ostseestadion and back. 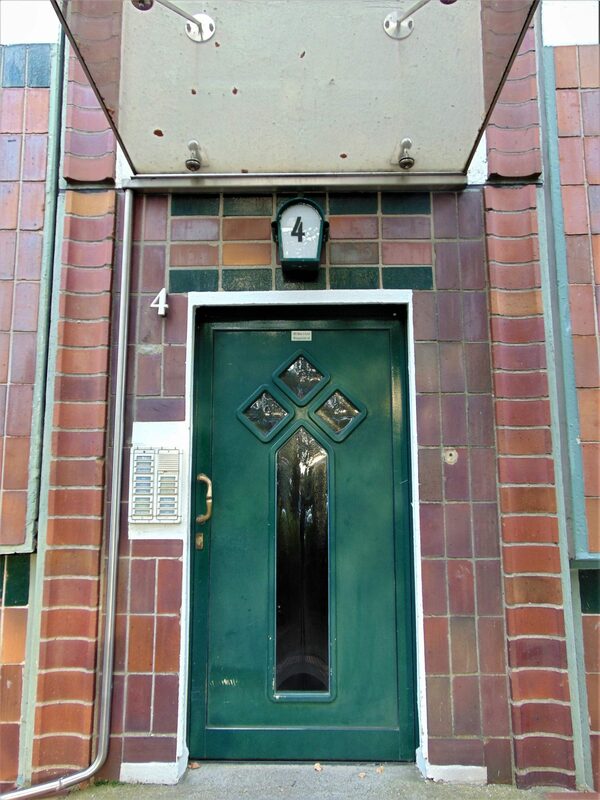 My wandering took me through the KTV and the adjacent Hansaviertel. I almost didn’t make it to the stadium in time for kickoff due to walking so much and stopping everywhere to take pictures, as the KTV really offers a lot. The area is also packed with bars, most of which are concentrated on the Barnstorferstrasse. 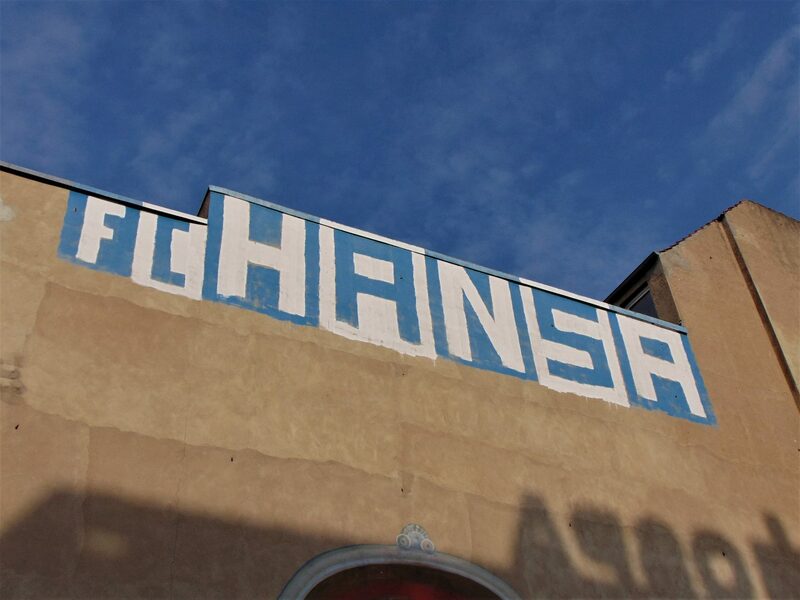 When in Rostock you’re bound to see the name “Hansa”, usually written in blue and white, all over town and in different forms—whether on stickers or huge murals. In case you’re wondering what that is: the city is home to a football team called FC Hansa Rostock. They used to play in the Bundesliga a few years back but went on a catastrophic nose dive that saw them land in the third division. However, the team (the last East German champions), have a very large fan base and active ultra scene. 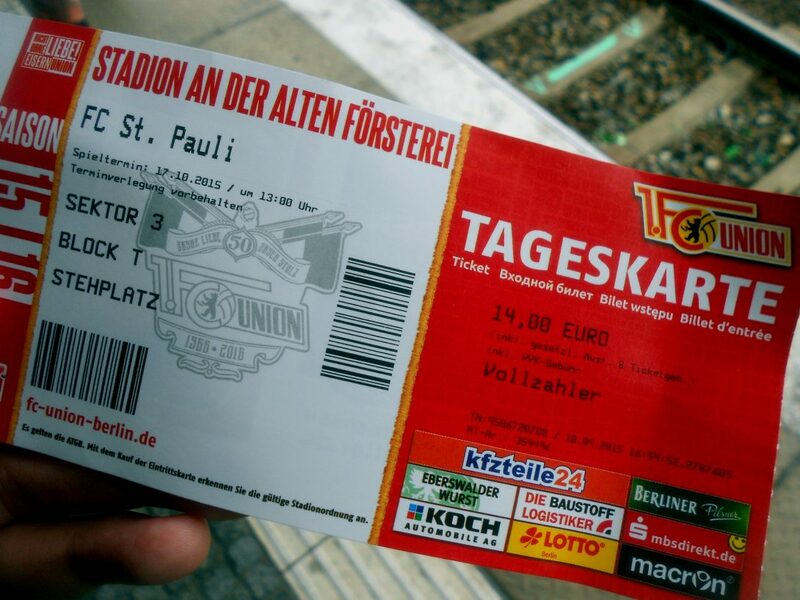 I’ll publish a full account of my visit to the Ostseestadion soon as part of my Away Days series soon (got one about St. Pauli in the works too). 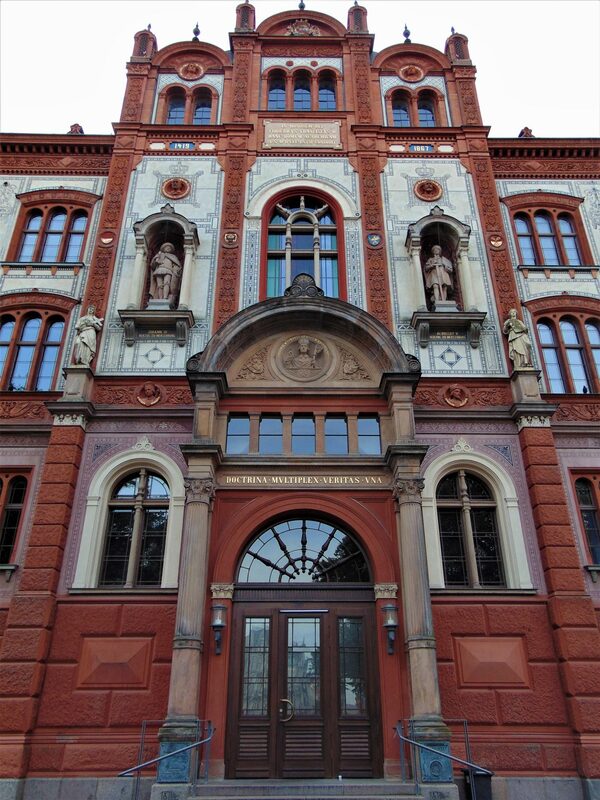 Rostock is a city with a convoluted past, whose architecture perfectly embodies history’s mood swings. It also is a city with a very unique character, where you will find different scenes and influences coexisting within a small area. 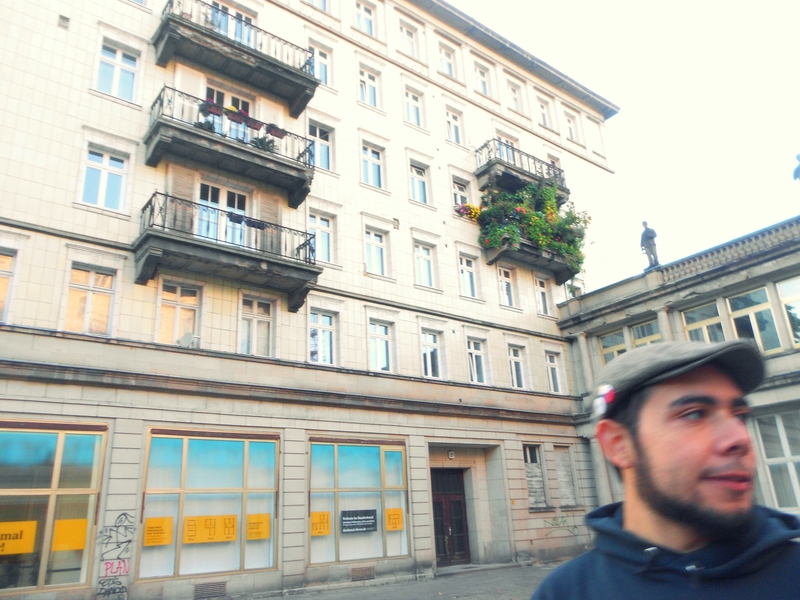 It is a youthful and alternative city—and also delightfully East German and definitely Baltic. 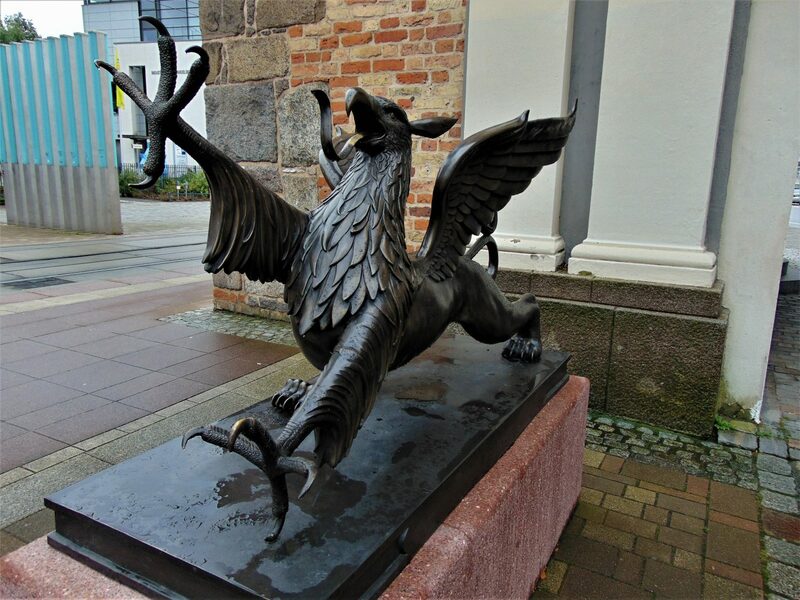 After visiting Rostock I became an even bigger enthusiast of Northern Germany: Hamburg, Rostock, and Lübeck might be close geographically, but they developed in such different directions that they all have their own distinctive character. I for one will definitely go back to Rostock sooner than later—and you should too if you have the chance.